I grew up on a walnut farm just north of Sacramento, where my family has been farming for six generations. Despite being the youngest of five, I was the first person in my family to go to college. I received a scholarship to Saint Mary’s College where I majored in political science and minored in religious studies. I worked in Washington, DC for a congressman, where I gained experience with forming public policy. After college, I moved to San Francisco to attend Golden Gate University School of Law. The day after the bar exam, March 1st, 2008, I moved to Napa. My husband and I started our own law firm, at pretty much the worst possible time—right in the middle of a recession. We have since been recognized multiple times as the top law firm in Napa County, and I’ve been named one of the top women attorneys in Northern California for the past five years. I have a real-world understanding of what it’s like to start and run a business in the City of Napa. As a small business owner, I know how important it is for our business community to support one another, and to be able to rely on local government for support, encouragement and to provide the policy environment necessary for success. 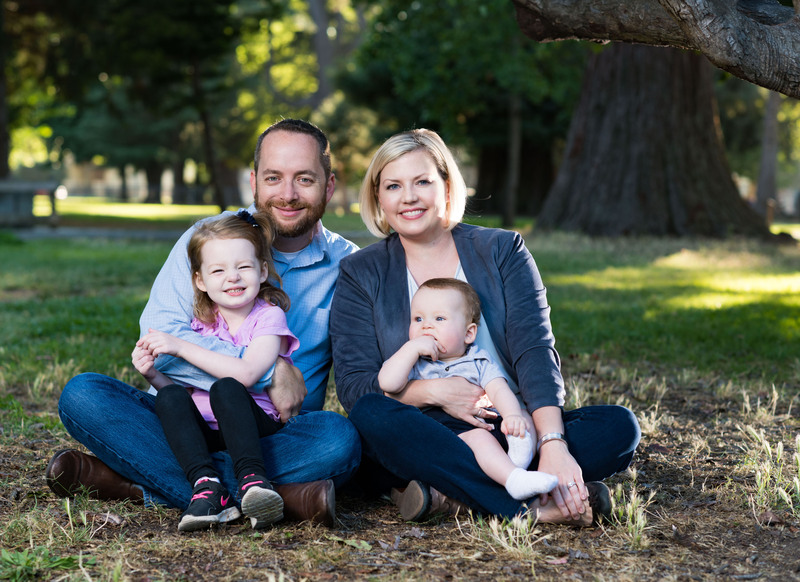 As an attorney, I specialize in business law and estate planning, and as such, I spend every day helping individuals, families, nonprofits, and small businesses right here in Napa. I know what their dreams are, and I know what challenges they face. That background will be a distinctive asset on the council, not only as an attorney, but as a business owner and advisor. In 2014, my husband and I were blessed with a daughter, and in late 2017, a son. As a mom, I’m learning what it’s like to raise a family in Napa. I worry about what our community is going to look like when my kids grow up. I want Napa to be a happy, healthy, vibrant, safe community that feels like home. When my kids finish school, I want them to want to come back to Napa to make their lives here, too. By serving on our council, I get to have a pivotal role in shaping a vision for our city’s future. On January 31, 2015, I was appointed to the Napa City Council to fill the vacancy left by Alfredo Pedroza’s appointment to the Napa County Board of Supervisors. In my time on the Council, I demonstrated that I am an effective leader, and worked to find common sense solutions to some of Napa’s biggest challenges, such as traffic, public safety, responsible development and growing the local economy. As the City of Napa’s representative on the Napa Sanitation Board, I am continuing my public service by following those same values. No matter what issues you believe are the most important in Napa—affordable housing, traffic, economic development—they are all connected to growth. Coming from a farming family, I understand how special small towns are, and how we have to balance agriculture with urban development and do what we can to preserve what makes Napa special. Over the years, we’ve become a victim of our own success. We’ve grown exponentially, but now we’re feeling some of those growing pains. I think our residents understand the importance of tourism to our community, but they also want to see the city prioritize the needs of our citizens. While it’s important to have high-end retailers and restaurants downtown, it’s equally important to provide affordable retail and commercial services, including restaurants and grocery stores, for the whole community. I believe that Napa needs to do what it can to support local businesses and attract the best and brightest businesses and workers to our region. I have met with many local business and government leaders to study our local economy and discuss business attraction and retention incentives and other economic development tools. Napa’s success in attracting new business and retaining the ones we already have will depend on many factors, including a healthy business environment with a readily available skilled workforce, available office and manufacturing space, and generally appealing quality of life. We won’t be able to attract any kind of workforce without addressing housing. For 6 years, I proudly served as a director of Napa Valley Community Housing, where I worked to develop affordable homes in Napa County to meet the needs of low-income individuals and families. I know firsthand how difficult it is to create affordable housing, while at the same time how crucial it is to our overall success as a community. As a councilmember, I will strive to balance the housing needs of every member of our community. In closing, I want you to know that I have a thorough understanding of the current and future issues Napa faces and I have the skills to do the job. My experiences bring a fresh and balanced perspective to the city council and I would be honored to serve in this role.